Hey there! 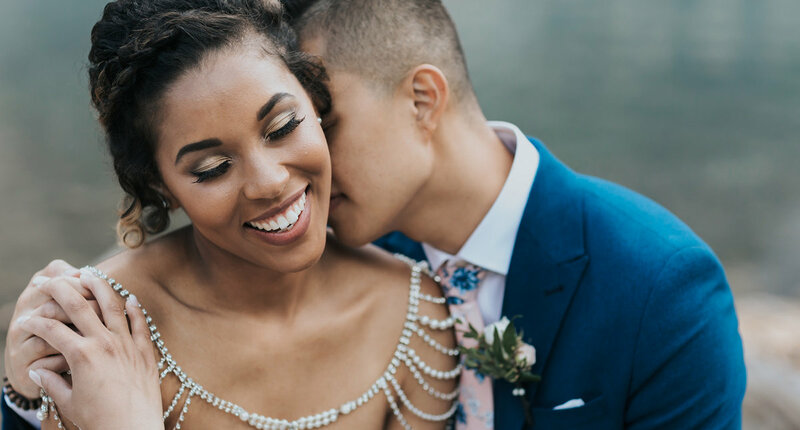 I'm Moraine Lake Wedding Photographer Beth van der Bij & I specialize in creating beautiful, authentic images that capture the emotions, movement & intimacy found in real, lasting love. I adore natural light, organic locations & fresh air. 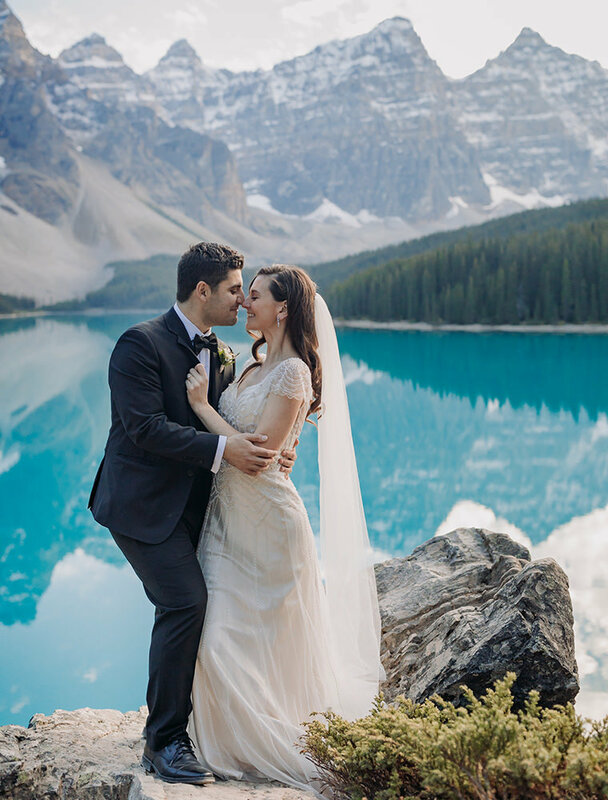 Moraine Lake is an amazing location for your intimate wedding or elopement in the Canadian Rocky Mountains! Moraine Lake is only open from late May until early October. The road closes from Canadian Thanksgiving until after Victoria Day long weekend. 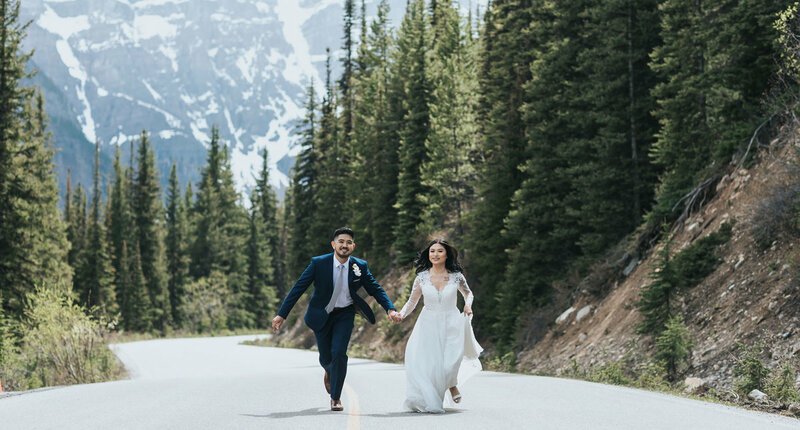 The best way to do an elopement at Moraine Lake is to stay at Moraine Lake Lodge. The road closes early in the morning & doesn't re-open until the evening most days. It's darn near impossible to drive in during the day unless you are a guest at Moraine Lake Lodge. If you are unable to stay at the Lodge, then an early morning (pre 8 am) or a later evening (post 6 pm) ceremony is the best way to go. It is a spot that is always packed with people, no matter what the photos have you believe. 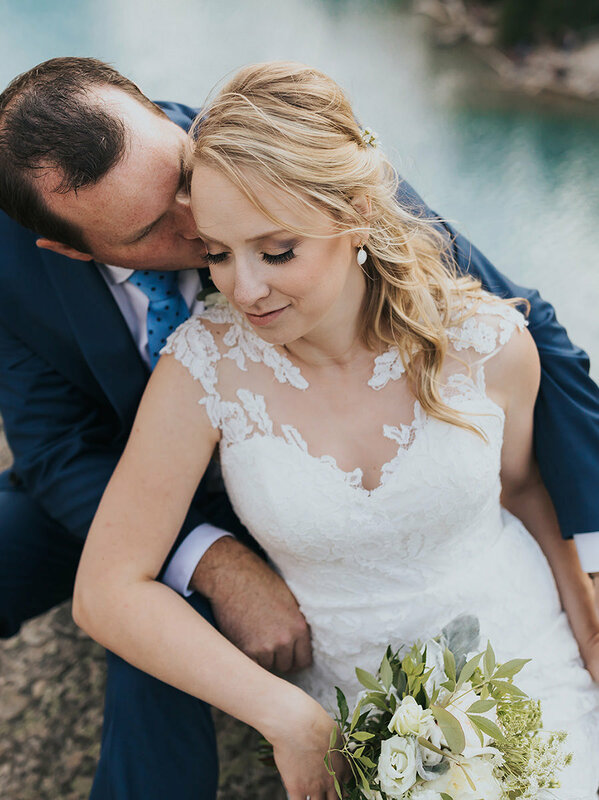 If you have a little patience & aren't shy, this could be the perfect place for your carefree, adventurous & joyful wedding photos! 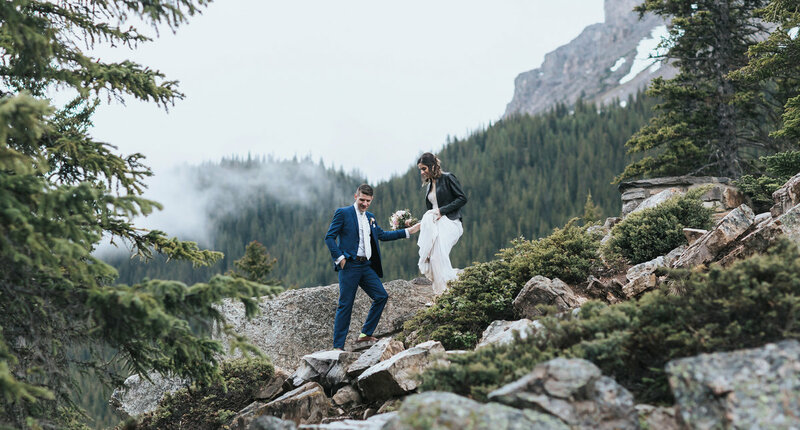 Have a little adventure for your wedding photos at Moraine Lake. 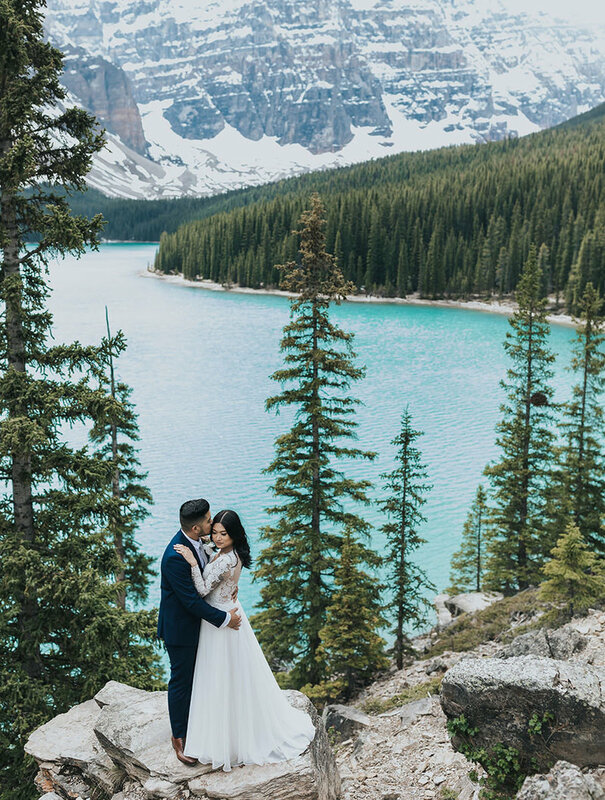 If you've been dreaming of an intimate mountain wedding with those unreal blue waters, a rocky landscape & lush green woodland areas, Moraine Lake is probably the place that pops to mind. It's Insta famous & beloved on Pinterest... for good reason. It is spectacular. Moraine Lake is perfect for an elopement but I wouldn't advise it if you have more than 4 guests, there just isn't room for a lot of people to stand around for a ceremony & the area is very busy with tourists. It can work well for an elopement though! 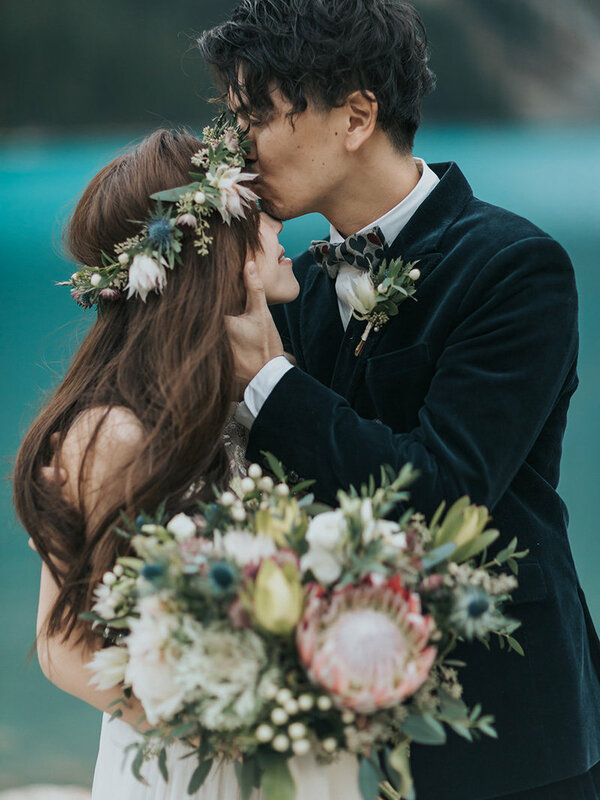 I'm more than happy help you plan out the details for your perfect Moraine Lake wedding or elopement! I'm even happier to photograph it all! 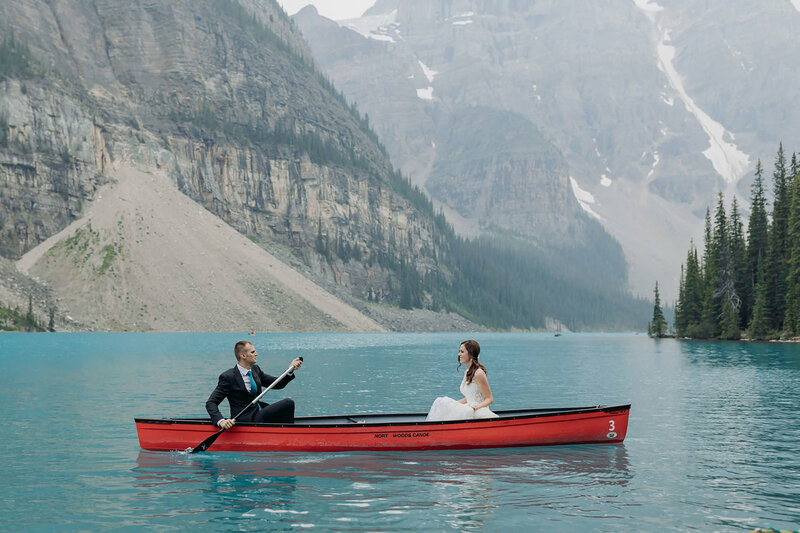 Thinking about a Moraine Lake Wedding?